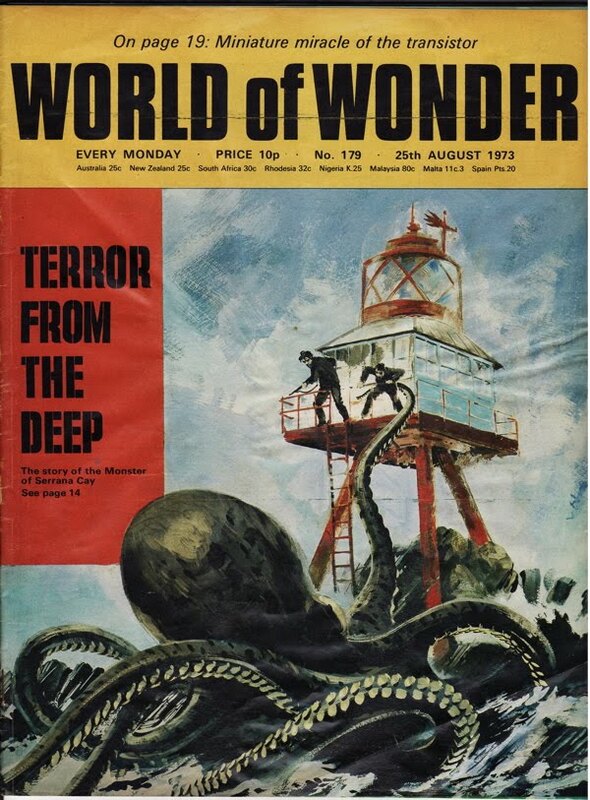 The 'Strange Stories' series, which ran for the first half of the 1970s in World of Wonder magazine ('the magazine for every boy and girl') was very influential in getting some of today's forteans interested in Spring Heeled Jack, Kasper Hauser, yetis and that sort of thing. Part one of my feature on 'Strange Stories' from the January 2011 issue of Fortean Times is now availabe here - as a limited a sneak preview designed to entice you into buying the online paywall edition of the magazine. As soon as the 'first British serial' has expired, the feature will be on this blog in full. I've just spotted this Italian translation of my Fortean Times 'Trots in Space' feature on the Posadists - a UFO cult who at one point believed that flying saucers were evidence of advanced Socialist civilizations on other planets. I'm following up to find whether this work comes under the syndication deal I signed with Fortean Times way back in 2003, or whether it's unauthorised, in which case, the authors owe me money! Maurice Frankel, who campaigned for many years to bring about the Freedom of Information Act, and Mark Watts of the FOIA Centre, examined the Freedom of Information Act at a recent NUJ London Freelance Branch meeting. The secret of using the Act, says Maurice is not to think like a journalist but to do something much harder, to think like a bureaucrat. Read the report here. The recent Metropolitan Police Authority Civil Liberties Panel report in the aftermath of the April 2009 London G20 protests has many welcome recommendations. Its conclusions on police relations with journalists include the advice that "If containment is used, officers should be required to record when they prevent journalists from crossing containment cordons and the reasons for doing so". And the Panel wants "a more clearly auditable trail" kept by police of such incidents. The MPA also – after a minimal amount of research – was able to knock on the head suggestions often heard from front line coppers that Press Cards “might be forgeries”. There’s more here. Paywalls - will they work? Dan Sabbagh - Media Guardian's new editor - discussed the latest developments in paywalls for newspaper websites at The Times, FT (Financial, not Fortean, for the avoidance of doubt) and other newspapers. Will they work, will they save journalism, and will they create any opportunities for freelances? Read this report from an NUJ London Freelance Branch meeting, from the Freelance. Did the Romans invent Christmas? My article in December 2009's History Today on whether Christmas came from the pagan Roman festival of Saturnalia - has finally emerged from behind its paywall, you can now look at if for free here.